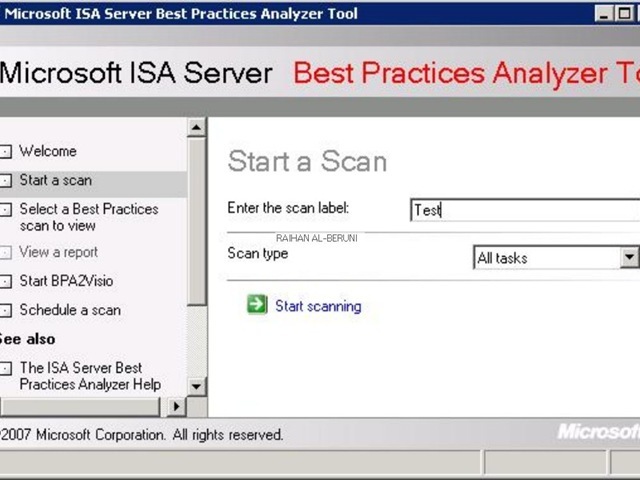 When did you run ISA best practice analyzer last time or you do not run at all? 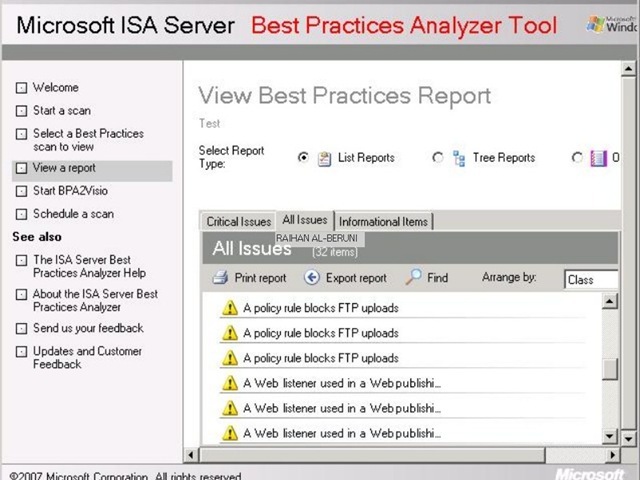 If both answer “negative” then its time to run run ISA best practice analyzer (BPA) in ISA server. It is always good to check health of ISA server whether it is running great or not. you can rectify any issues before get worse. 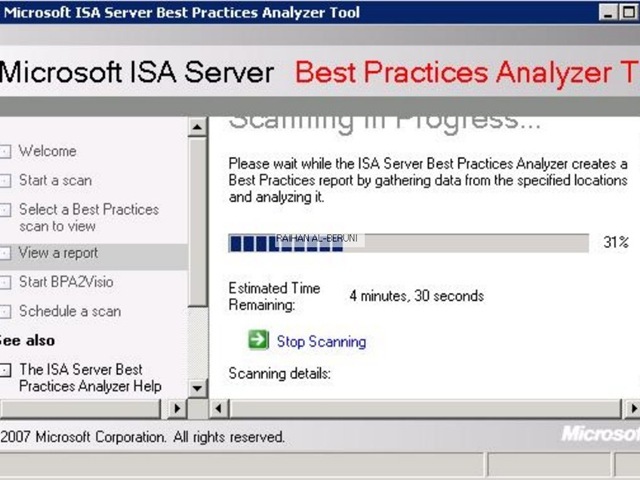 Install ISA BPA in ISA server and run as follows. select all tasks. read the report carefully. You might have configured rules that necessary for you but ISA BPA might show warning. Don’t worry about it. For example, I configured ISA using single NIC scenario but BPA gives me warning. Its ok to ignore this warning. Look for other issues and verify with your policies you have configured. 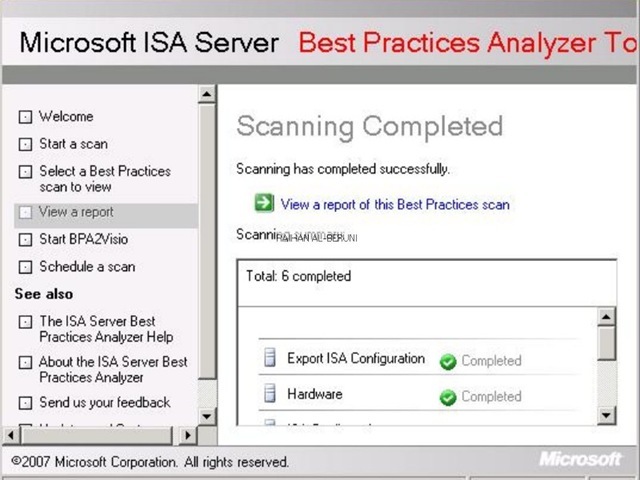 Note: don’t jump to modify ISA server after reading BPA report.